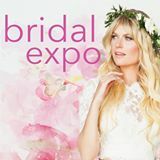 As in the last 2 years, Boutiq Weddings & Events will be participating in the Bridal Expo at the BMO Center on Sunday, September 18th from 10 am to 5 pm. For those of you who got engaged over the summer, congratulations! This is a great event to come and meet great vendors, including yours truly, get great ideas for your wedding and just have fun with your moms and bridesmaids. There will also be a lovely fashion show as well as wedding dress sales so you can get an idea of what kind of wedding dress you would like. Please come and have a chat with us at booth #129 across from Novia Mia wedding dress sale. We are looking forward to meeting you and hearing all about your wedding vision!